Elite Fence Products takes pride in being a domestic aluminum fence manufacturer for over 25 years. We actively participate in the “Buy American, Be American” movement. Many people, organizations and firms do not have a clear understanding how these applications work. Applies when the federal government is directly purchasing products or materials or a federal building or facility is being constructed (such as US highways, federal prisons ect.). 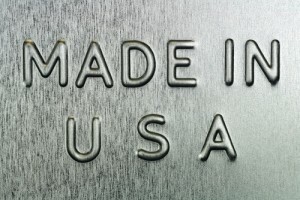 This application requires 51% of the components of the final product to be made in the US. Cost of domestic materials must be 6% (12% for small business) than foreign materials. A price premium of 6% will be added for pricing evaluation by the contracting officer, if the domestic requirement is not satisfied. Applies to state and local government projects typically funded by the Federal Transit Authority (FTA). This application requires 100% of the components of supplies or construction materials to be made in the US. Cost of domestic materials must be 25% more expensive than foreign materials. A price premium of 25% will be added for pricing evaluation by the contracting officer, if the domestic requirement is not satisfied.